We’ve put together some free content to help new, and existing businesses with their technology management, support, and investments. All of this content is given freely (no email signups or any of that sort of nonsense). Starting any new business is hard, but things are made so much harder by not setting up critical business systems right the first time. In this concise guide, find out how to best setup all of the technology your business needs. 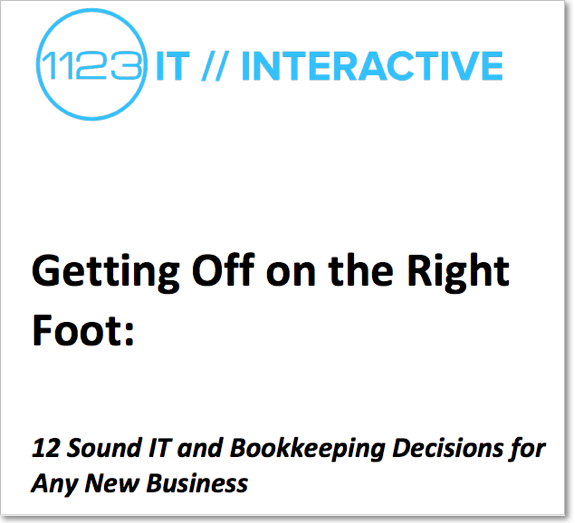 From websites and email, to if you need a server or not, to sensical accounting and bookkeeping; our guide can help you get off on the right foot. No email address necessary, we hate those tricks too. Just download and enjoy! Securing any Internet-Connected computer can be a challenge these days, not to mention an entire network of them (including servers with sensitive data). We created a simple, complete guide entitled “Simple IT Security for Any Small Business” to help take some of the mystery out of having a more secure network, a more secure network that actually is protected and you can live with.